Raw fish can be harvested from water. They can be used to refill a small amount of health instantly. 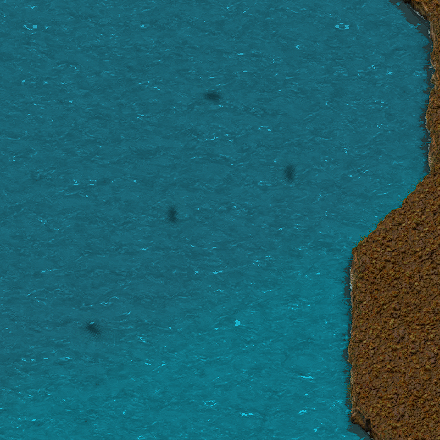 In order to catch raw fish, look at a body of water and see if you see moving dark spots, then mine them the same way you would do with ore to get 5 fish per dark spot. To use the fish, just pick it up out of your inventory and eat it by clicking your left mouse button by default. Fish can be also collected via construction robots. Using landfill on water where a fish is swimming will "destroy" the fish. Fish can be shot and killed, but are not affected by explosions. This page was last edited on 17 February 2019, at 04:37.